Luella M. Carr, age 91, of Saranac Lake, died Tuesday, November 28, 2017 at Adirondack Medical Center. Born in Willsboro, New York on January 07, 1926, she was the daughter of Friend and Helen (Foran) Thompson. Mrs. Carr had been a resident of Saranac Lake for most of her life. She had been employed by New York Telephone Co. as an operator, had worked for Keough's and Gauthier's Motels. She later worked at JJ Newberry's Department Store for 9 years and at Saranac lake High School for 15 years until she retired in 1988. 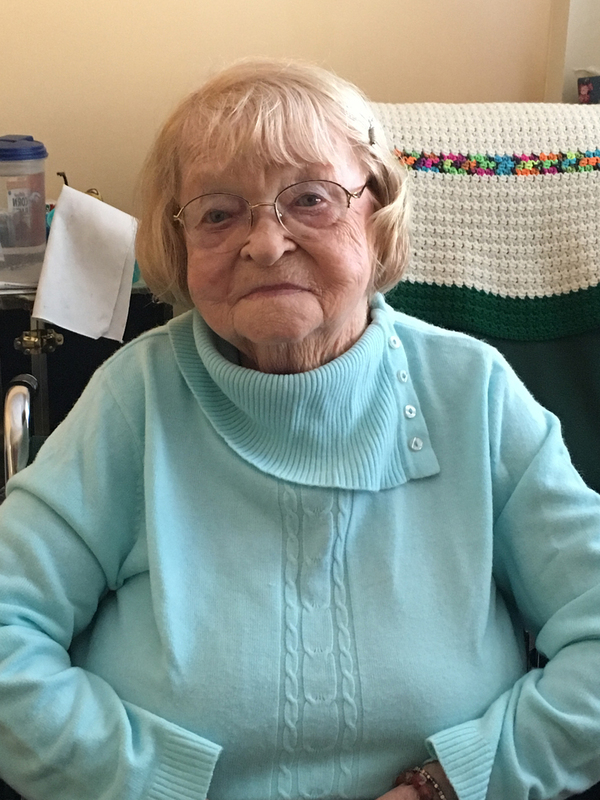 She was a parishioner of St. Bernard's Church and enjoyed reading, crossword puzzles and photography. She is survived by one son William Carr of Snowmass, CO, and one daughter Betsy Gupton of Aurora, CO, four grandchildren and many nieces and nephews. She was preceded in death by two sons Robert and Bruce Carr, two brothers Eustance and William Thompson and four sisters Evelyn Thompson, Alice Myers, Lucille Boyle and Grace Dimase. Calling hours will take place at the Fortune-Keough Funeral Home on Saturday, December 2, 2017 from 11:00 AM to 12:00 PM. A funeral service will immediately follow at 12:00 PM at the funeral home with Fr. Patrick Ratigan officiating. Burial will follow in Brookside Cemetery. Friends wishing to remember Luella M. Carr may make memorial contributions to St. Jude's Children Research Hospital in care of the funeral home. Family and friends can also share their memories and sign the online guestbook at fortunekeoughfuneralhome.com. To send flowers to the family of Luella M. Carr (Thompson), please visit our Heartfelt Sympathies Store.